Chris Gorton used his fastball to throw a no-hitter in high school. He then used that fastball in college - and in front of scouts, according to The Syracuse Post-Standard. "It's safe to say that after his performance in a college all-star game earlier this scouts around the New York and New Jersey area now know who Chris Gorton is," The Post-Standard wrote in June 1985. Gorton played in front of those scouts with other college players at Yankee Stadium, The Post-Standard wrote. He went on to continue in college, those scouts not signing him until his time there was done. Gorton went on to use his fastball in a pro career that spanned three seasons. He made it to high-A St. Petersburg. 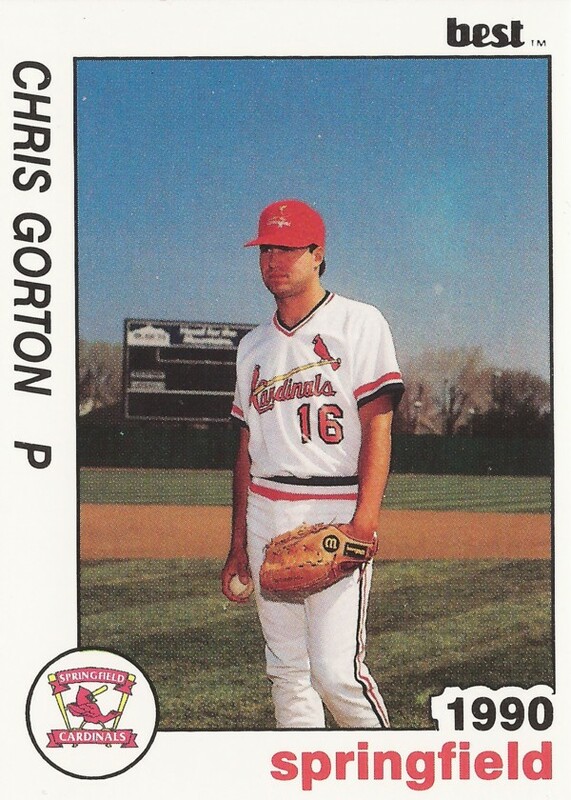 Gorton's career began in 1989, signed by the Cardinals as a free agent out of Siena College outside of Albany, NY. Gorton played his high school ball in Fulton, NY. He played in a local Connie Mack tournament in 1983, throwing a three-hitter, while striking out 10. At Siena, Gorton ended his career with a 1.90 ERA, still best at the school all-time. He threw 15 complete games, a two-hitter in 1989 and struck out 43 batters in 1985. He started with the Cardinals at short-season Hamilton in 1989, joining the club in mid-July. He got into 20 games in relief, turning in a 3.00 ERA. He also saved 13 games, good for fourth in the league. He didn't allow an earned run until his 12th appearance and only allowed one hit in his first nine innings of work. Gorton moved to single-A Springfield for 1990. In 59 relief appearances, he ended with a stellar 1.18 ERA. He saved 12 games. He then played 1991 at high-A St. Petersburg. In 53 games, he had a 3.07 ERA and saved one. That third pro season marked the end his career.